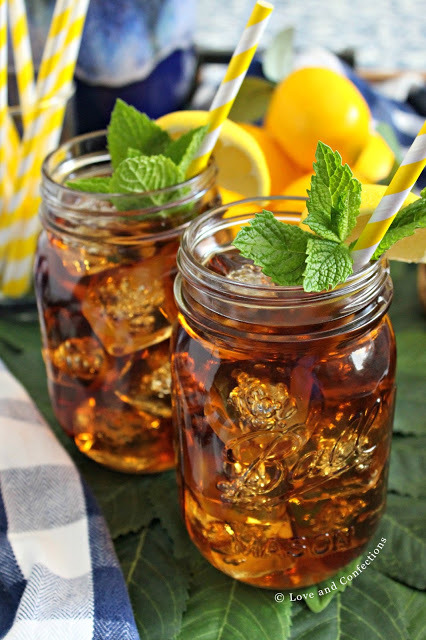 Simple Southern Sweet Tea is a staple at our family and holiday gatherings, and perfect for sipping on the porch while watching the sunset any time of year. My best friend’s grandmother, who everyone called Gran, even if we weren’t her grandchildren (but in all reality she is seriously like my own grandmother and I love her just the same) was one of the people who started me on my love of sweet tea. She also makes THE best chicken wings in the entire world, but that is for another time. 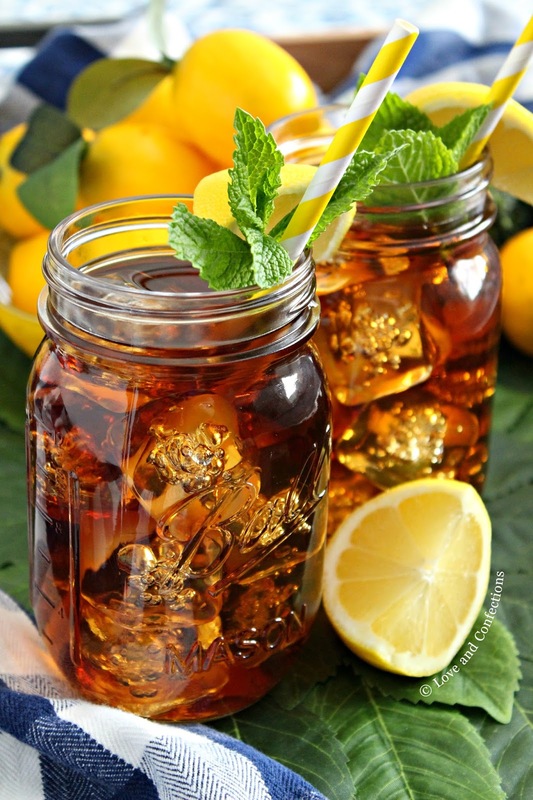 The other person responsible for my love of sweet tea is my uncle’s mother-in-law, Nanny. Every family gathering we went to with my aunt’s family, sweet tea was present. Nanny is the sweetest lady and I always love being a part of their family parties, especially if she comes. She reminds me so much of my own grandmother with her warm smile and welcoming hugs. 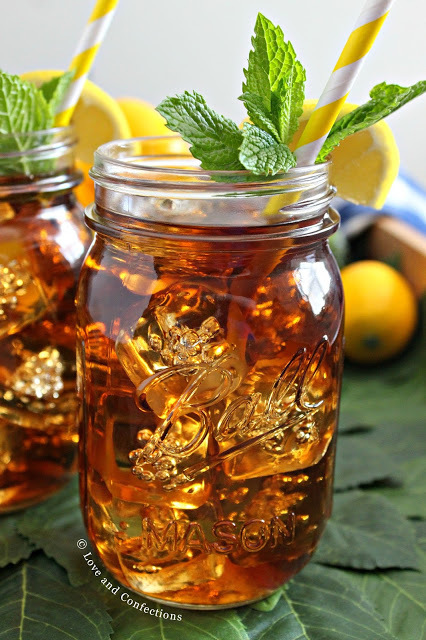 Sweet tea isn’t just a tradition, it’s more personal than that; it’s about community. 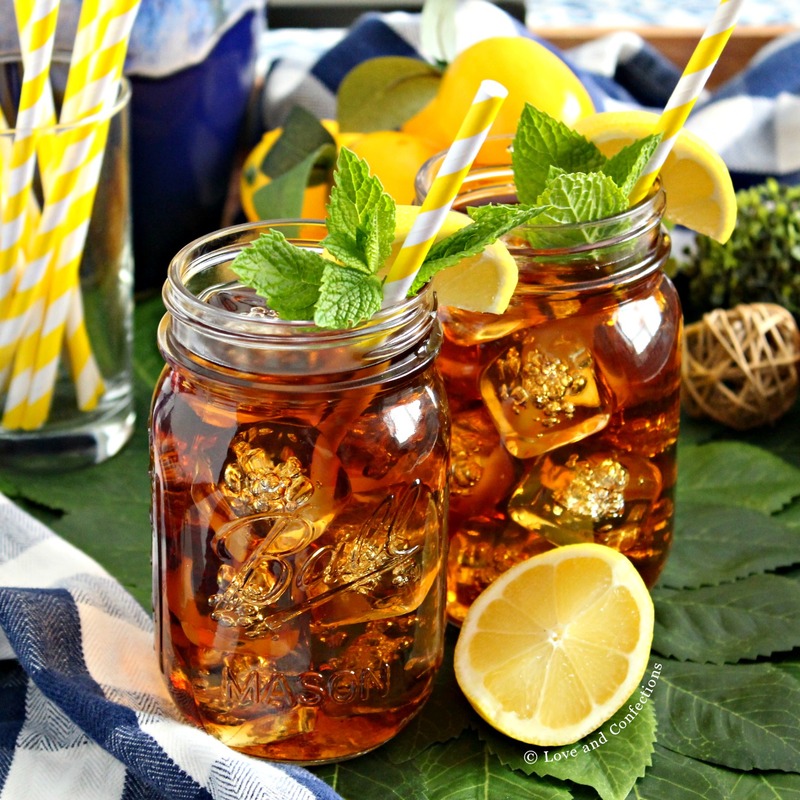 Inviting someone in and offering a glass of cold sweet tea, sitting on the porch with friends in the Summer sipping from a delicious flavored tea, or enjoying a glass at a holiday party or celebration are all perfect occasions for my simple southern sweet tea. 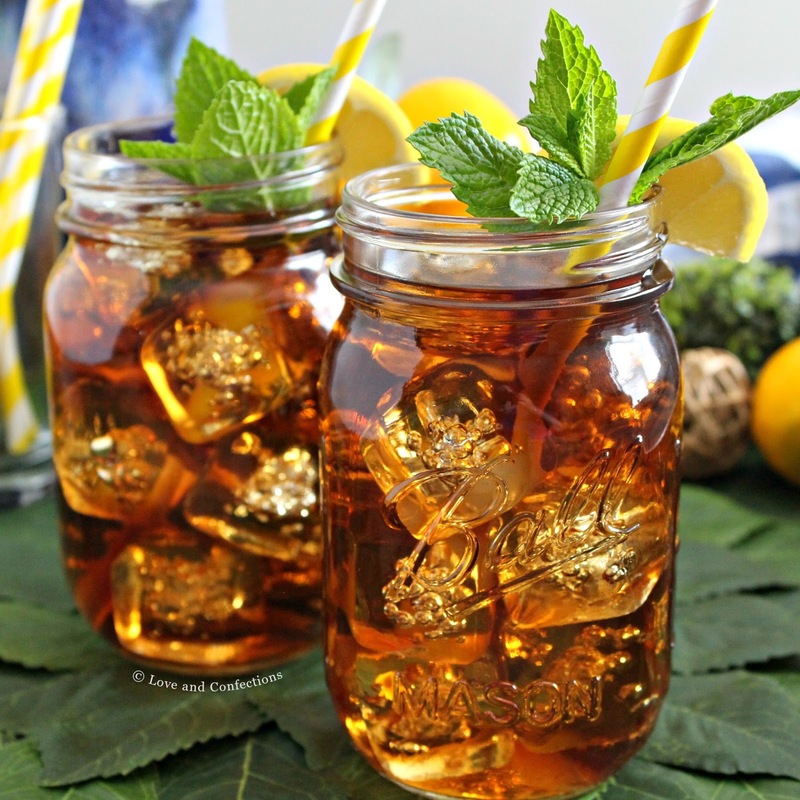 Baby showers are also the perfect time for sweet tea, and today a group of blogging friends are celebrating a new mom and her adorable, just a little early, baby boy. Angie from Big Bear’s Wife was due in early October, but the little man decided he wanted to make an entrance 3 days ago, thus spoiling my surprise virtual baby shower–now turned surprise virtual baby welcome, LOL. If you follow Angie, then you know she has some amazing recipes. I love her Southern-style and easy recipes, no-churn ice creams and she also has these delicious Strawberry Sweet Tea Popsicles that I cannot wait to make. Angie, you are the most deserving, sweet and lovable person!! I know your baby boy is incredibly lucky to have you and Thomas as parents. You are going to be a great mother and you have an incredible village behind you ready to help support and love you all. Savor every moment, even the sleepless ones, because they truly do grow up too fast. All my love! 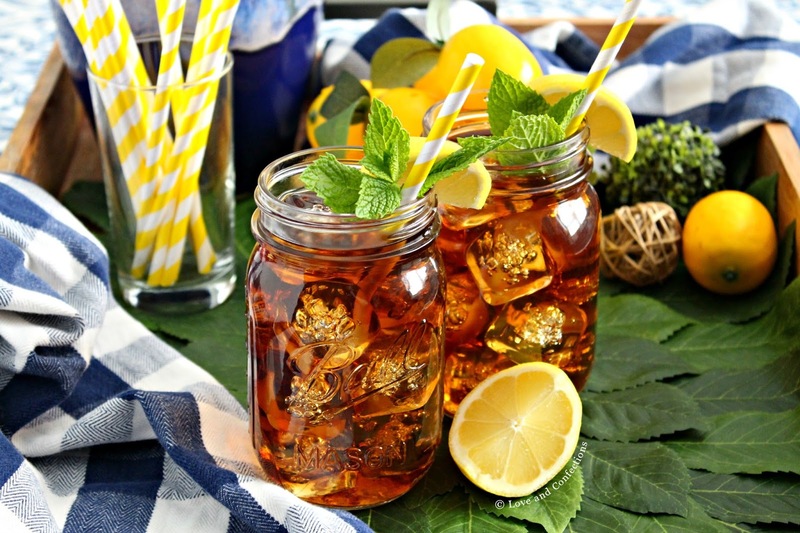 Simple Southern Sweet Tea with tips and tricks from a few grandmotherly sources – baking soda helps with bitterness, cooling on counter prevents cloudiness, Luzianne recommended for best tea. In medium saucepan, bring 4 cups water just to a boil. Place tea bags and baking soda in a large glass measuring cup that is heat-safe. Pour water over tea bags and let steep for 5-8 minutes. Remove tea bags, letting them drip, but do not squeeze bags to get liquid out. Pour into large pitcher and stir in sugar. Pour remaining 12 cups water into pitcher and let cool to room temperature. Store in refrigerator and serve over ice with lemon slices and mint for garnish. Now THIS is perfect for Angie's shower!! Thanks for organizing this fun event!!! This is one of the most beautiful cocktails I've ever seen!!!!!! Thank you for hosting such a fun shower and for a nice glass of sweet tea! Thank you so so so much for such a sweet shower! This sweet tea is perfect and it has my name written all over it! haha I was so excited when I started to see my name tagged in baby shower posts! My heart is so happy! You did such a great job organizing this event! Still bummed I had to miss out but happy for Angie all the same! Love me some sweet tea, but mine never turns out as good as what I get when I'm down South. Definitely trying your recipe!